Cutting carbohydrates is a common theme in the wellness community, whether people are steering clear of the macronutrient in order to follow the ketogenic diet, accomplish healthy weight loss, or just because they want to take control of their eating habits and live a healthier lifestyle. No matter the reason, it's the difficulty of doing so that unites all carb-cutting people. I know firsthand. As someone who is the self-professed carbohydrate queen, avoiding processed carbs is incredibly difficult. At breakfast, I stop myself from buying that muffin alongside my black coffee. 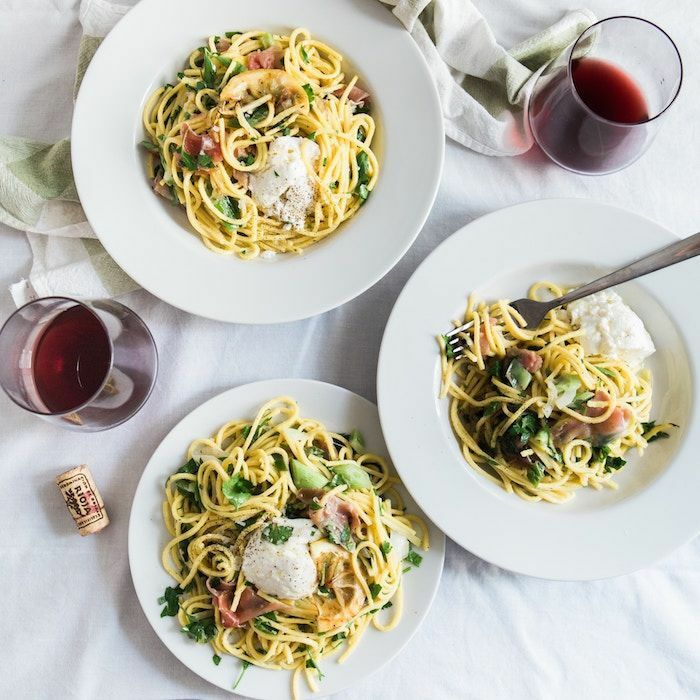 At lunch, I crave bread, and at dinner, there's nothing like ordering a big plate of pasta or a gooey slice of pizza (don't even get me started on the possibilities of dessert: cakes, cookies, pastries…). Clearly, if I followed all of my random cravings, I would not be cultivating a healthy diet, which is why I'm focusing on veggies, fruits, and protein as of late. What I'm learning is that it's possible to eat my favorite dishes with some healthy substitutes. Keep scrolling to see nine carb substitutes that won't leave you desperately craving bread. First, let's make something clear. Not all carbs are inherently bad. 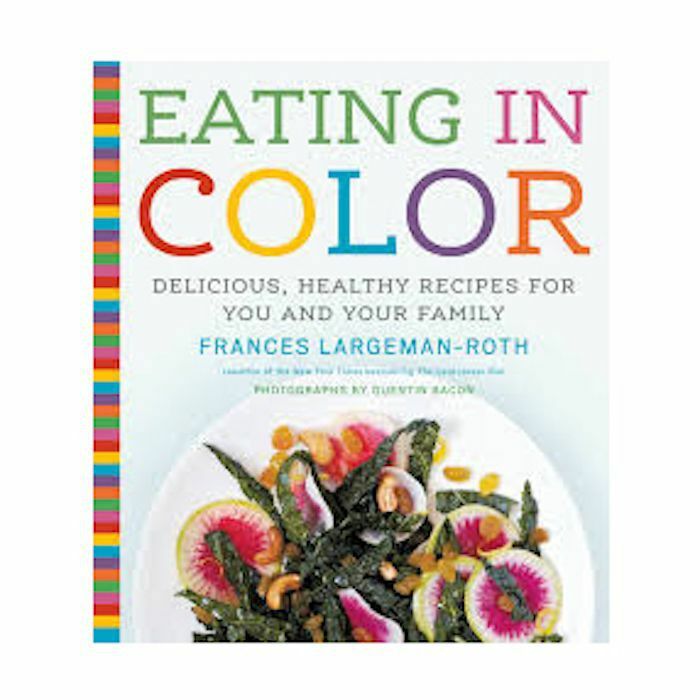 "If you are eating a lot of processed carbohydrates, like store-bought muffins, danishes, and giant bagels, I would recommend cutting back on those and replacing them with carbs from whole-grain sources such as oats, quinoa, and barley," explains Frances Largeman-Roth, RDN, nutrition expert and author of Eating in Color. "If you exercise, carbs are essential for fueling your workouts, and whole-grain carbohydrates, plus the ones found in fruits and veggies, contain a wealth of essential nutrients, including vitamins and minerals." In other words, you shouldn't eliminate all carbs. Like Largeman-Roth says, the ones found in fruits, veggies, and whole grains belong in a balanced diet. 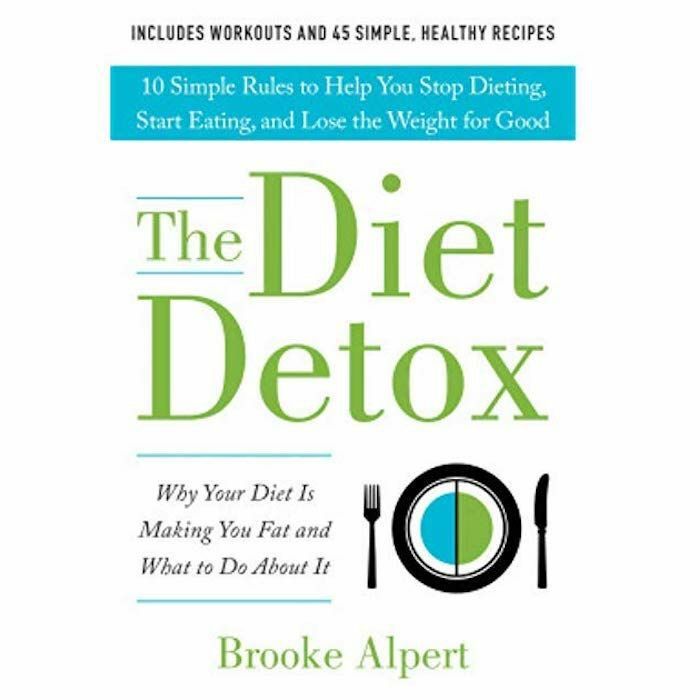 Brooke Alpert, RD, NYC-based nutrition expert and author of The Diet Detox, agrees that distinguishing the good from the bad is critical. "In my practice and my book, I recommend limiting the amount of starches in order to maintain a healthy diet. I don't use the word carbohydrate because most people equate carbohydrates with starches, not actual foods that contain carbohydrates," she says. "I've had so many new clients come into my practice and say they are 'low-carb' but then tell me that they eat yogurt, fruit, potatoes, beans, etc. All of those food options contain carbohydrates and are healthy." So instead of limiting carbohydrates, Alpert asks her clients to limit starches like bread, rice, and pasta. "They are incredibly easy to overeat, are low in nutritional value, and often cause blood sugar spikes," she says. "For weight loss, I recommend one serving of a starch at lunch or dinner a day. For weight maintenance, I recommend two servings a day." The good news is that limiting the so-called "bad carbs," or starches as Alpert puts it, doesn't have to be sad, bland, and difficult. If you only make a couple of swaps, you can eat delicious foods that are also healthy. Keep scrolling to see the best carb substitutes, as recommended by these two top nutrition experts. Oprah wasn't the first one to exclaim "I love bread!" In fact, it's probably the most popular high-carb food craving out there. Some of the most popular bread substitutes are eggplant and zucchini. Simply cut it into round slices; lay it on a baking sheet with olive oil, herbs, and spices; and bake it. It's warm, dense, and delicious. Some people even add toppings like shredded cheese, tomatoes, or capers to make a healthier version of bruschetta. One word: yum. Another option for all the bread lovers out there is to purchase a pre-made cauliflower bread. This is particularly fitting for people in a rush (which is me, always). There's no downtime or preparation required. You take it out of the packaging and use it. It's as simple as that. Alpert recommends the brand Outer Aisle Gourmet. "They have amazing cauliflower bread," she says. "It's perfect for a breakfast sandwich." The best part is that you can order it online. If it's a sandwich you're after, and eggplant or zucchini just won't do, try using portobello mushrooms. This is one of the most beloved bread swaps on the internet. Portobello mushrooms are large—roughly the same size as a piece of bread—which is why they're perfect for keeping everything together (unlike an open-faced sandwich). They taste good too, especially when grilled if I do say so myself. Here's another popular carb substitute for you. Instead of using traditional tortillas for tacos or wraps, do away with them completely and opt for fresh lettuce instead. I know this sounds unexciting, but it's surprisingly easy and delicious. It can go beyond a simple wrap, too. They can even be used to make homemade spring rolls or chicken lettuce wraps. Like I mentioned before, pasta is one of my biggest vices (you try denying a steaming bowl of puttanesca at a dinner party). There is an alternative, though, in the form of zucchini noodles, or zoodles as they're colloquially called. They're just like they sound: thin ribbons of zucchini tossed in a sauce to mimic the taste of flour pasta but without so much starch. For all your rice cravings, try using cauliflower as an alternative. If you haven't tried this before, it might sound a little weird, but it's delicious. I promise. "I love cauliflower rice and like to have a big bowl of it with a nice portion of protein on top," Alpert says. 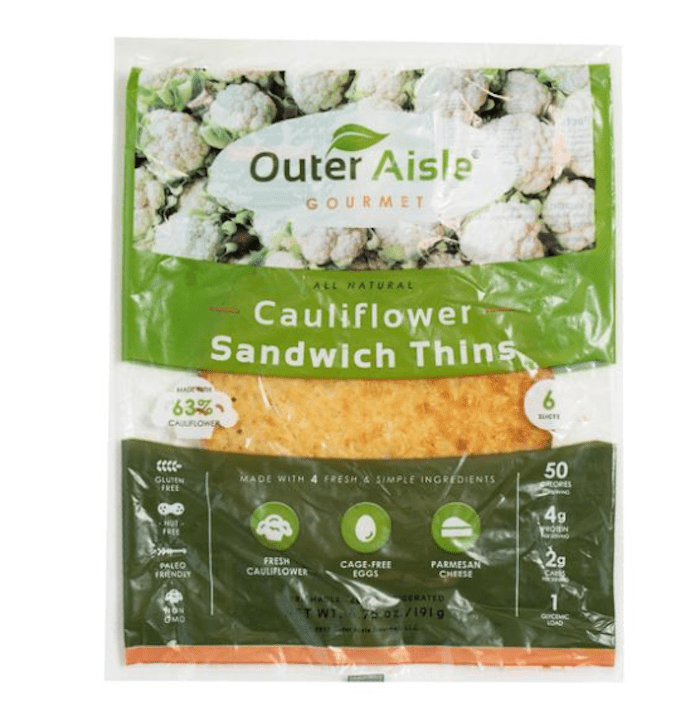 "I keep organic frozen rice cauliflower in the freezer at all times because it is so convenient and filling." It's available pretty much everywhere now. I like to get mine from Trader Joe's. There's a reason it's called spaghetti squash, right? Online recipes abound for this one, but my favorite ones are the simplest ones. Shredded squash underneath a blanket of marinara sauce. Add some Parmesan cheese if you like. It's so simple and so good. This one's pretty self-explanatory, but it's worth noting nonetheless. Personally, this is my favorite way to substitute carbs. I can make it myself, or I can buy pre-made cauliflower crust from the grocery store. I normally do the latter (blame my laziness). Either way, it's delicious and an easy alternative to the traditional starchy flour crusts of yore. This unique and genius bread alternative comes courtesy of Largeman-Roth. "If you're trying to replace processed carbs, like hamburger buns, with healthier foods, that's great. I like making little toasts out of sweet potatoes. Just slice the sweet potato into rounds, brush with olive oil or ghee and bake at 400° for about 20 minutes. You can then top them with anything you'd usually put on toast, such as nut butter, cottage cheese, or avocado." Here's the verdict: Not all carbs are bad, and cutting all carbs isn't necessary (or advised, for that matter). If you're interested in minimizing your starch intake, it's all about choosing nutritious alternatives. "Swapping processed carbs for healthier options, like whole grains, sprouted breads, or vegetables, is smart," Largeman-Roth reiterates. "Just remember that our bodies and brains need carbohydrates to run properly." If you're interested in learning more about low-carb diets, namely the ketogenic diet, be sure to read all about the science behind it, according to a top nutritionist.